The following ESIFC documents have been grouped for Elementary, Middle and High School to make it easier for you to find your grade levels. Visit the Library of Congress to learn more about Teaching Inquiry with Primary Sources. Click on the file below for a printable PDF of the Stripling Model of Inquiry. 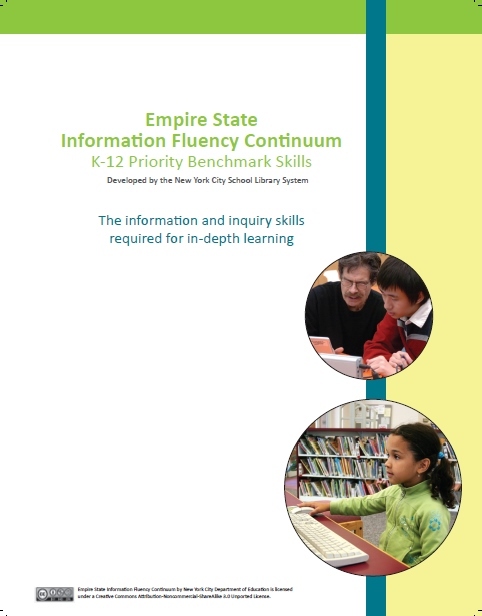 Visit NYC's DoE School Library System's LibGuide on IFC Assessments Organized by Skills to see how to organize Benchmark Assessments by Inquiry Skills. Benchmark Assessments also available as Word documents to modify as needed. 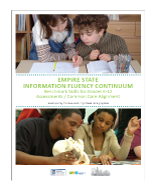 This full-color document is a "summary" of the ESIFC, and is a good way to introduce the Information Fluency Continuum to teachers and administrators.